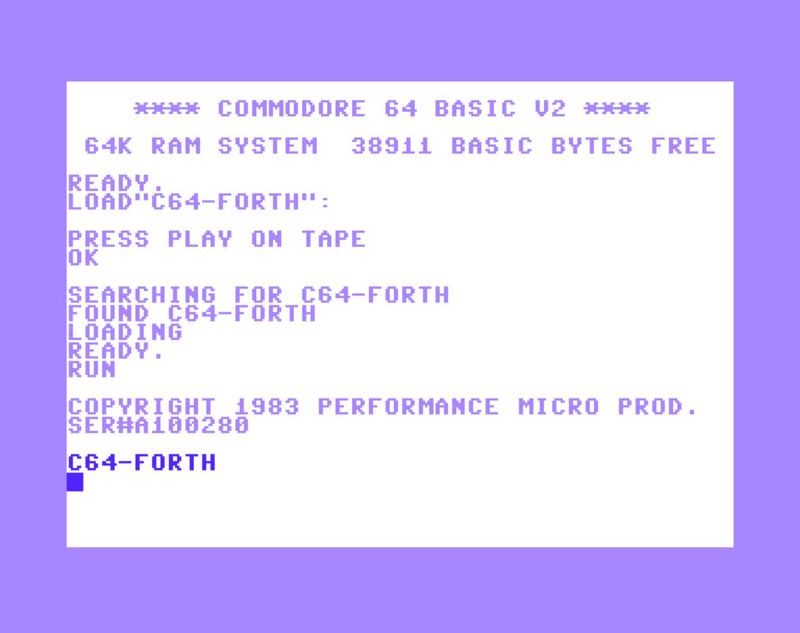 Blazin' Forth is a complete Forth-83 system for the Commodore-64 computer. It includes all the words from the Required Word Set, the Double Number Extension Word Set, and the Assembler Extension Word set. It also includes almost all of the Controlled Reference Word set, and applicable words from the Uncontrolled Reference Word Set. The words omitted from the Controlled Word Set are --> , K , and Octal , all others are included. 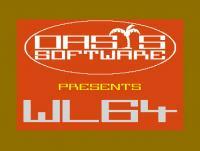 This system also contains its own versions of the System Extension Word Set, which include various compiler security features. 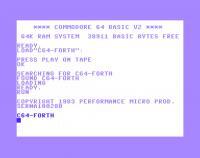 C64-Forth release in 1983 [Greg Harris, Performance Micro Products] - This particular version of Forth is based on the 1979 Forth standard. 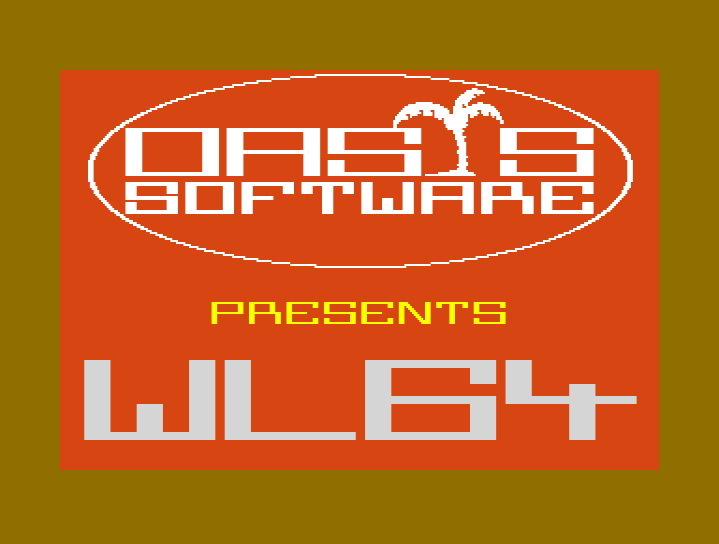 White Lightning is a high level graphics development system for the Commodore 64. It is aimed primarily at the user who has commercial games writing in mind and has the patience to learn a sizeable new language. It is not a games designer and stunning results probably won't be produced overnight, but it does have the power and flexibility to produce software of a commercial standard (with a little perseverance!). Inside the archive is the PDF Manual for White Lightning.